Is your dancer looking for an awesome Summer Dance Program to take her/his dancing to the next level? Our Summer Classes are the perfect solution! Starting on Monday July 9th, our 6 week Summer Class Session offers a condensed version of our Fall Class Schedule for dancers ages 2 to adult, beginner to advanced, Monday through Friday! With classes in Ballet, Jazz, Tap, Hip Hop, Contemporary, Lyrical, Heels, Jazz Funk, Leaps & Turns, Acro, Anatomy, Dance History, Choreography, Stretch & Strength, Contemporary Partnering, Grooves, Improv, and, of course, our famous summer Boot Camp classes, our Summer Class Session is an incredible way to not only continue your dancer’s training but to do so in an intimate environment that allows the dancer to grow at an incredibly accelerated pace. ADWV’s Boot Camps take place every Tuesday and Thursday from 5:00p-10:00p for dancers ages 14+ and every Wednesday from 5:30p-9:30p for dancers ages 11+ all summer long! Taught at the intermediate/advanced level, this incredible class includes 4-5 full hours of stretching, conditioning, progressions, technique, choreography AND improv exercises catered to what the dancers request in each class! Our wonderful Director/Owner, Jess Warfield teaches the Tuesday and Thursday class and our incredible Assistant Director, Meg O’Leary teaches the Wednesday class. We cannot wait for you to join us all summer long, these classes are ones you don’t want to miss! 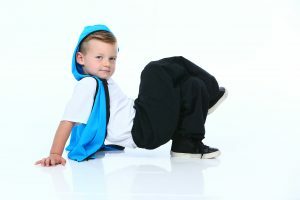 We are thrilled to be offering a plethora of dance camps for all ages this summer. 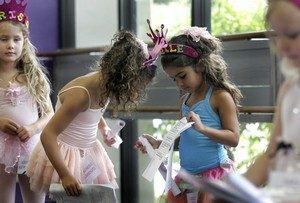 Click the link above to find out about all of our camps, including of course our annual Princess Dance Camps! All of our summer dance camps go from either 9:00am – 2:00pm or 9:00am – 3:00pm Monday through Friday and offer classes in styles like Jazz, Ballet, Tap and more! All camps will have a performance on Friday for all to see! Do you want to train with the industry’s biggest and most influential working dancers & choreographers? Look no further… join ADWV for our Master Class Series in styles such as Contemporary, Hip Hop, Jazz, Technique, Grooves & Freestyle, Jazz Fusion, Improv and more! Dancers are guaranteed to work with master class faculty members in a small, intimate setting perfect for individualized attention and corrections. It doesn’t get any better than this…seriously, you don’t want to miss it!